In a large mixing bowl, whisk together sour cream, lemon juice, salt and pepper. Add peas, fresh mozzarella, radishes, and fresh dill. 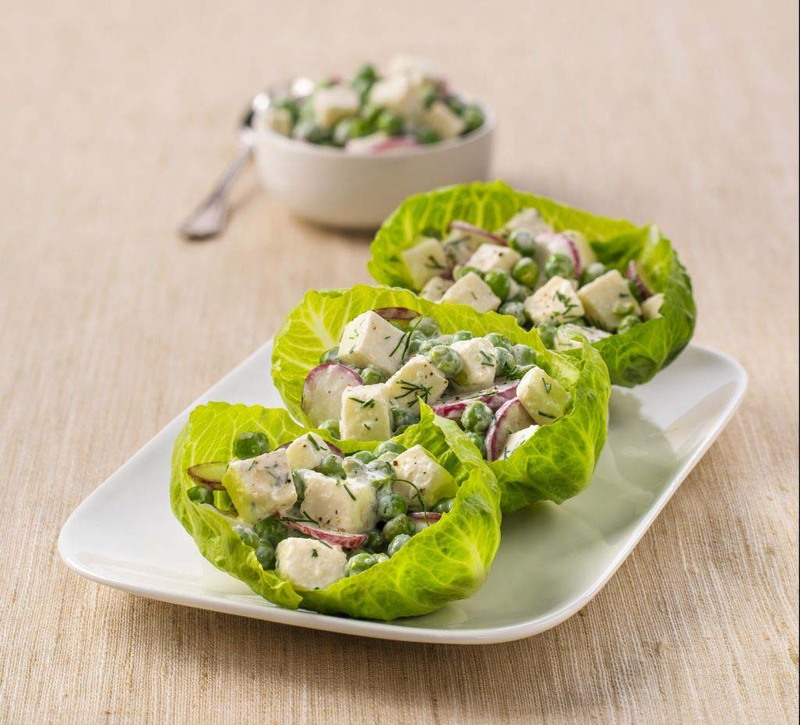 Serve in bib lettuce leaves.